Hyaluronic acid and I began our relationship over a year ago, with The Ordinary’s Hyaluronic Acid 2% + B5 serum, and that relationship has since grown into quite the love story. HA is one of those ingredients I’d heard all sorts of lovely things about, but last year it wasn’t available in Canada and ordering it from the USA at $5+ USD/gram seemed like a big investment for something I wasn’t sure I’d like. The Ordinary’s serum provided an excellent low cost way to try it (on my face, not in my DIYs) and… swoon. It’s safe to say I like it! This silky humectant stars in many hydration and anti-aging formulas, lauded for its ability to plump and hydrate skin, reducing the appearance of fine lines and generally leaving skin looking healthier and happier. I’ve found my skin to be significantly happier with a hydration focus featuring HA in my routine; blemishes are fewer and heal faster, and my skin glows. HA is a wonderfully fun and luxurious ingredient to work with, so I thought we’d learn a bit about it today in preparation for making some recipes with it! Today I’m really excited to share with you an interview on clays (specifically bentonite) with Ian Hutcheon, Professor Emeritus in Geochemistry at the University of Calgary. Bentonite clay has quite a bit of lore surrounding it in the DIY world. It’s not at all difficult to find people suggesting that ingesting it or applying it topically will result in miraculous “detoxing”. Its charge is frequently cited as the reason the clay should never, ever come into contact with metal of any kind, lest the clay be rendered useless or harmful. A quick search of Pinterest tells me I can use it to detoxify my armpits, heal bug bites, make mascara, eliminate food allergies, cure food poisoning, and prevent breast cancer. There’s enough ra-ra sentiment out there about bentonite clay to pique the interest of pretty much anyone. Whenever I publish a recipe calling for a clay that isn’t bentonite, people want to know if they can use bentonite instead. 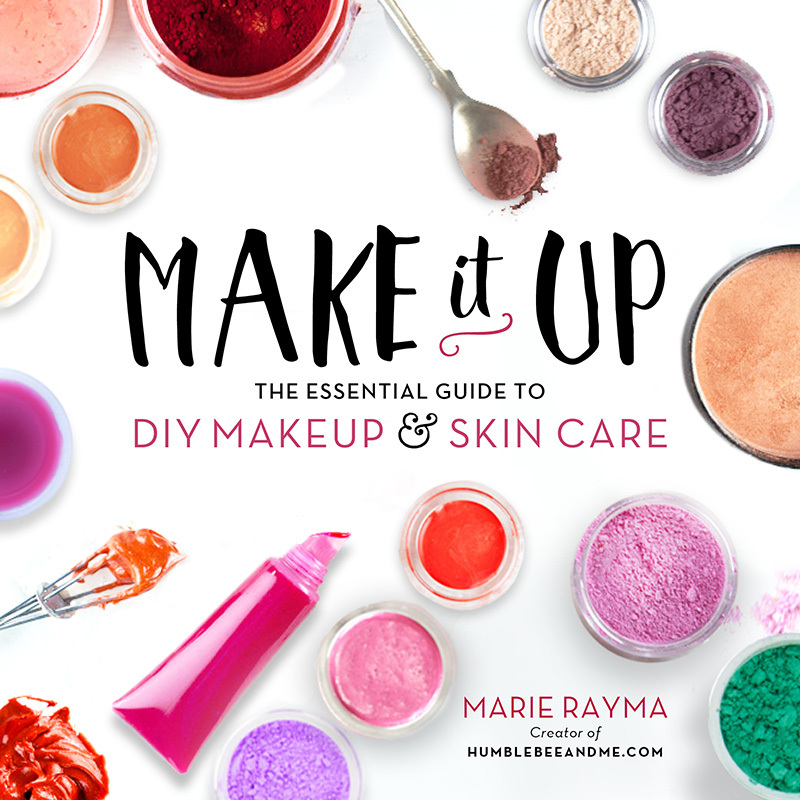 Out of all the ingredients I use, not one has prompted more people to call me a know-nothing idiot than bentonite clay—the “no metals” thing gets people quite aggressively worried. However, for all the worry, it’s been difficult for me to find verifiable information about what is actually up with bentonite clay in the realm of DIY and beauty. So, I sought out an expert and asked. Recipe scaling is something I get a reasonable amount of questions about, so I thought I’d write out a how-to on how to scale any recipe so you can confidently make lots (or very little) of the things you love. I’ve also created a downloadable spreadsheet that you can input your data into, and it’ll do all the math for you (score!). Grab that, and the instructions to use it, at the end of the post. Today we’re looking at stearic acid, and how it behaves when melted together with olive oil at different ratios. Stearic acid is a pretty humble ingredient—mine is unassuming white beads that are bigger than cetyl alcohol, but not by much. We use it to thicken and harden our products when we want thickening and hardening, but we don’t want waxiness. Because stearic acid is an isolated fatty acid it thickens without adding the tack or brittle stiffness that wax can contribute, meaning waxes are typically not a good substitution for stearic acid as they’ll bring a few things to the party that weren’t invited. This hobby, moreso than many others, seems to have people opening up their own Etsy shops and stalls at local markets within months of making their first lip balm. And frankly, that’s a bit concerning. If you told a friend you’d just learned to make a great marinara sauce, they wouldn’t encourage you to open an Italian restaurant straight away, but it seems like as soon as you hand somebody some homemade body butter, they’re asking you why you don’t have your own brand and business yet. These words of encouragement are usually coming from a place of love and excitement over your new hobby (and their new source of super awesome lip balm! ), but it’s really important to understand that selling your kitchen creations to the great wide world isn’t as simple as printing some labels off your computer and popping up a table at a craft fair. This is by no means a complete list of things you should be considering when starting up your own business, but it’s a good starting point. Also: this is also not a warm and fuzzy “go for it, you can’t fail, what can go wrong!” sort of article, so consider yourself warned. 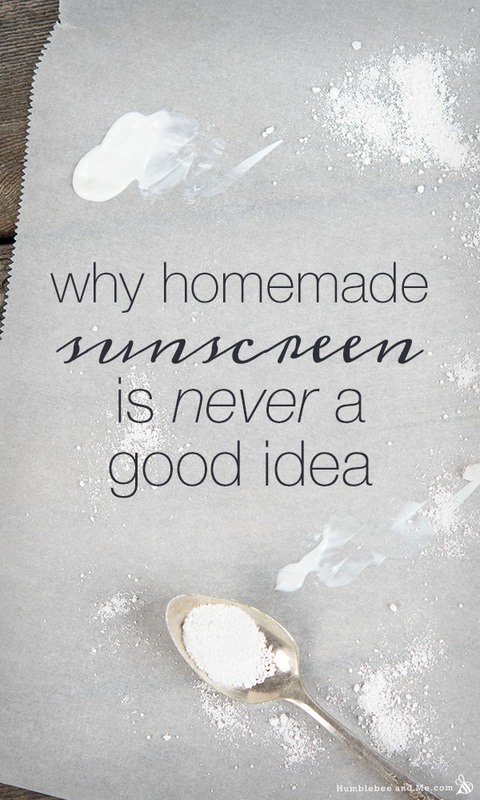 Back in 2012 I published a short post on DIY sunscreen, the gist of which was “don’t make it, you can’t know if it works.” That post continues to get a lot of traffic and quite a few comments, many of which aim to convince me that DIY sunscreen is (or can be) a good idea. So, with warmer days on the horizon (in the Northern Hemisphere, at least), I wanted to write a more detailed post on the topic. Today I’m tackling the arguments I hear from internet people who want to make their own sunscreen. The kind of silk I have is different than the one called for. Can I use it?